Hewlett Packard - 416799-001 HP/COMPAQ - INTEL XEON 5160 DUAL-CORE 3.0GHZ 4MB L2 CACHE 1333MHZ FSB SOCKET-LGA771 65NM PROCESSOR (416799-001). NEW BULK. IN STOCK. SHIP SAME DAY. 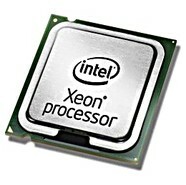 Dell - WJ560 DELL - INTEL XEON 5160 DUAL-CORE 3.0GHZ 4MB L2 CACHE 1333MHZ FSB SOCKET LGA-771 PROCESSOR FOR POWEREDGE 1950/1955/2900/2950 (WJ560). NEW BULK. IN STOCK. READY TO SHIP SAME DAY. IBM - 42C4226 IBM - INTEL XEON DUAL-CORE 5160 3.0GHZ 4MB L2 CACHE 1333MHZ FSB SOCKET-LGA771 65NM 80W PROCESSOR WITH HEATSINK (42C4226). NEW BULK. IN STOCK. SHIP SAME DAY. IBM - 40K1236 IBM - INTEL XEON 5160 DUAL-CORE 3.0GHZ 4MB L2 CACHE 1333MHZ FSB LGA-771 SOCKET 65NM PROCESSOR ONLY FOR IBM X3400/X3500/X3650 SERVERS (40K1236). NEW BULK. IN STOCK. READY TO SHIP SAME DAY. Hewlett Packard - 416673-B21 HP/COMPAQ - INTEL XEON 5160 DUAL-CORE 3.0GHZ 4MB L2 CACHE 1333MHZ FSB SOCKET-LGA771 65NM PROCESSOR FOR PROLIANT BL480C G1 SERVERS (416673-B21). NEW BULK. IN STOCK. READY TO SHIP SAME DAY. Hewlett Packard - 418324-B21 HP/COMPAQ - INTEL XEON 5160 DUAL-CORE 3.0GHZ 4MB L2 CACHE 1333MHZ FSB SOCKET-LGA771 65NM PROCESSOR KIT FOR PROLIANT DL380 G5 SERVERS (418324-B21). NEW BULK. IN STOCK. READY TO SHIP SAME DAY. IBM - 40K1242 IBM - INTEL XEON DUAL-CORE 5160 3.0GHZ 4MB L2 CACHE 1333MHZ FSB SOCKET-LGA771 65NM 80W PROCESSOR WITH HEATSINK FOR IBM SYSTEM X3650(40K1242). NEW BULK. IN STOCK. Hewlett Packard - 417786-B21 HP/COMPAQ - INTEL XEON 5160 DUAL-CORE 3.0GHZ 4MB L2 CACHE 1333MHZ FSB LGA-771 SOCKET 65NM PROCESSOR FOR PROLIANT DL140 G3 SERVERS (417786-B21). NEW BULK. IN STOCK. READY TO SHIP SAME DAY. Hewlett Packard - 419812-B21 419812-B21 HP Intel Xeon 5160 Dual Core 3.0GHz 4MB L2 Cache 1333MHz FSB Socket LGA771 65NM 80w Processor Kit For Hp Proliant Hp Dl380 G5 Server. New Bulk Pack. Hewlett Packard - EY017AA HP/COMPAQ - INTEL XEON 5160 DUAL-CORE 3.0GHZ 4MB L2 CACHE 1333MHZ FSB SOCKET LGA771 PROCESSOR KIT FOR WORKSTATION XW6400 XW8400 (EY017AA). NEW BULK. IN STOCK. READY TO SHIP SAME DAY. 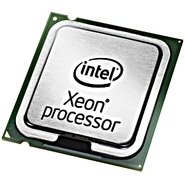 Hewlett Packard - EY017UT EY017UT HP Intel Xeon 5160 Dual-Core 3.0GHz 4MB L2 Cache 1333MHz FSB Socket LGA 771 Processor For Workstation XW6400 XW8400. New Bulk Pack. 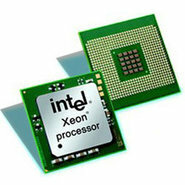 IBM - 81Y5160 81Y5160 IBM Intel Xeon 8-Core E5-2650l 1.8GHz 20MB L3 Cache 8GT S QPI Socket FCLGA-2011 32NM 70W Processor. New Bulk Pack.